Tesco Direct has launched a new promotion with German electrical manufacturer Braun. If you are in the market for a new hairbrush, shaver or hairdryer then you may be in luck. This Tesco Direct page shows the items on offer. Each comes with 1,000 Clubcard points. 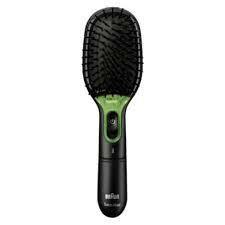 The hairbrush pictured above is the cheapest item at £24. This means that you will not make a decent return on this offer unless you sell the hairbrushes on eBay or have another profitable use for them. This offer runs until September 8th. If any item goes out of stock, keep checking Tesco Direct as it may reappear before the deadline.